In our Staff Recruitment eBook we talked about documenting a job position and the responsibilities and capabilities associated with the role, and making them very clear to the individual coming in to your organisation. 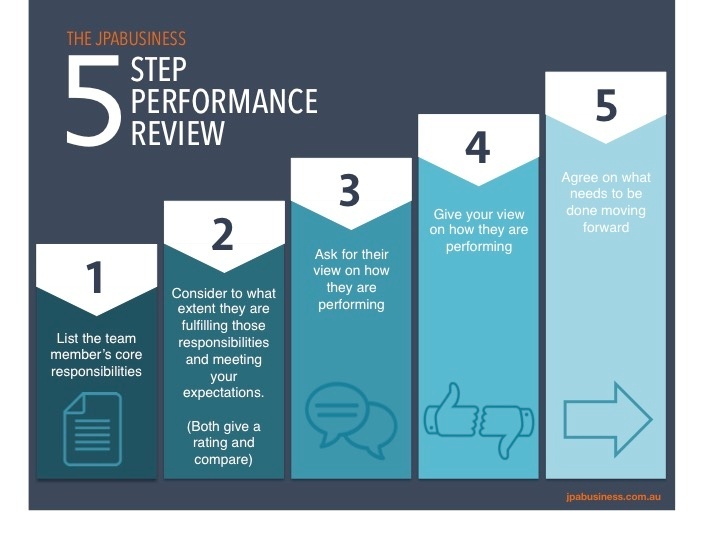 A Performance Review is about taking stock of how the individual and the team they’re operating in is performing to those original responsibilities over the longer term. When conducting Performance Reviews it’s important that both you and the team member being reviewed come to the meeting prepared. This must be done prior to the Performance Review meeting – the purpose of the meeting is to compare and contrast your ratings. For more information on the Performance Review process, download our free eBooks Managing Staff for High Performance and How to Get Good Staff and Keep Them.